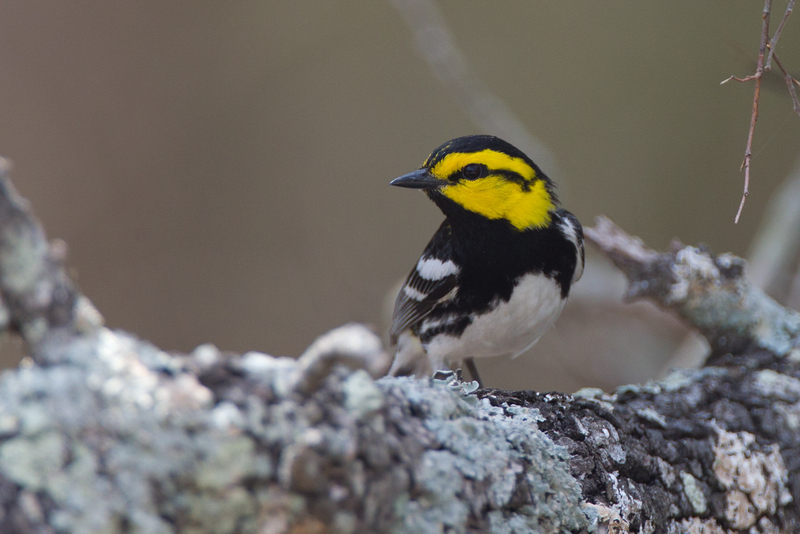 The Golden-cheeked Warbler was first described to science in the central highlands of Guatemala, less than ten miles from CCFC’s central campus. (3) Before it was discovered in Texas, it was documented and fully described as its own species in Guatemala. Every Spring, this early migrant returns to Edwards Plateau of central Texas. To keep a viable population returning to Texas every year, Golden-cheeked habitat must be protected, and soon. The Golden-cheeked warbler is considered an endangered species (IUCN status). It is also listed as a Priority Species for protection by the US Fish & Wildlife under the Neotropical Migratory Bird Conservation Act. We must protect the Golden-cheeked both in their breeding and non-breeding area. This small but stunning jewel of a warbler is in decline. Over the last forty years, the global population of Golden-winged Warblers has declined by an average of nearly 3% per year. Currently the Golden-winged is considered a Near Threatened species, according to the IUCN Red List. However, if trends continue this warbler could become endangered or even be driven to extinction. 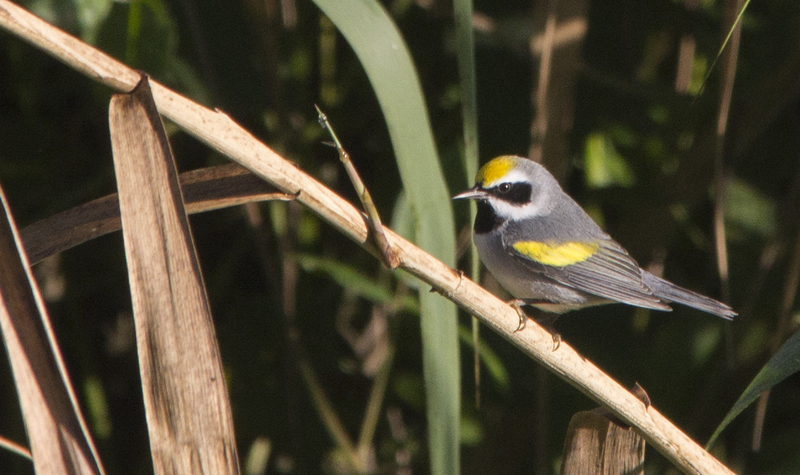 Discussions of the Golden-winged Warbler conservation have even handedly pointed to environmental degradation in both breeding and non-breeding ranges, these include habitat loss and habitat fragmentation. 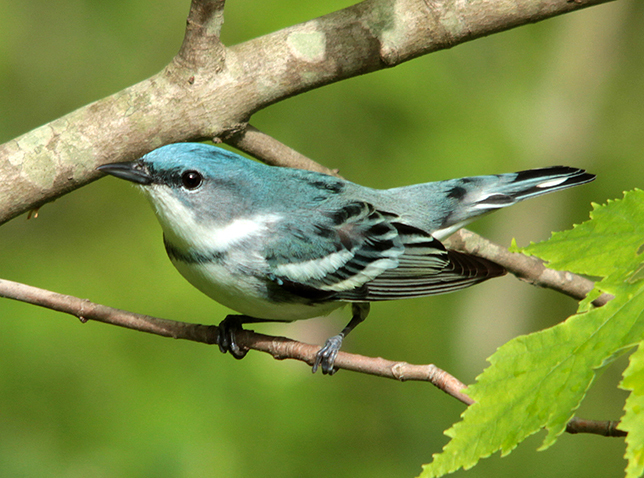 While the Cerulean Warbler is not a winter resident in any part of Guatemala, the central highlands, specifically the north slope of the Sierra de Las Minas is a vitally important migration stopover region. Cerulean Warblers that winter in northern Peru, Ecuador and western Colombia use the Central American route to get to their breading grounds in the upper Midwest of the United States. These birds use central Guatemala as a refueling area before crossing the Golf of Mexico. From the north slope of the Sierra de las Minas to the Sierra San Gil, the region provides them an abundant food supply and safe foraging for about two weeks each spring and two weeks each fall. (3) Osbert Salvin and Philip Lutley Sclater, published in 1860 under the title “Characters of Eleven New Species of Birds Discovered by Osbert Salvin in Guatemala” in the Proceedings of the General Meetings for Scientific Business of the Zoological Society of London volume 28, pages 298-301.